● Do you Struggle to Make the Most of your Practice time? ● Are you in need of an Organised Approach to Warm Up your Limbs Effectively? ● Do you want to apply Hybrid Drum Rudiments while building Drum Speed and Power? 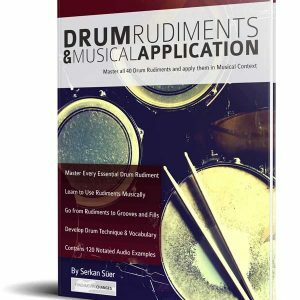 ● Would you like to Develop Essential and Limitless Drum Licks and Vocabulary? ● Is it time to Gain full control over the Drum Kit? Are You Ready to Supercharge your Drum Performances? 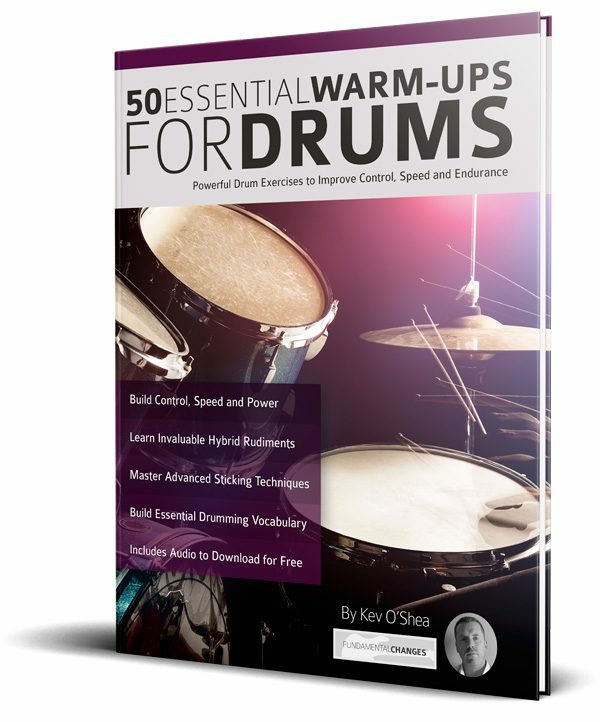 50 Essential Warm-ups for Drums teaches you the perfect method to approach every practise session, gig, or drum lesson. After covering the fundamentals of stretching, you will learn the essential drum techniques used in each exercise. Once the basics have been nailed you will embark on a concise set of warm-ups that will both loosen you up and build devastating drum technique. Whether you want to work through the book from A to B, or just dip in and focus on specific warm-up ideas, 50 Essential Warm-ups for Drums is the perfect study guide. 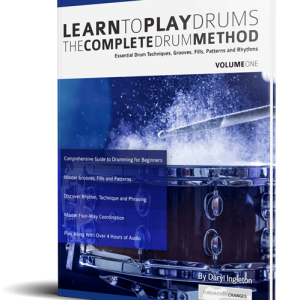 Each exercise is carefully explained and there are plenty of ideas to help you move them from a single drum pad to the whole kit. 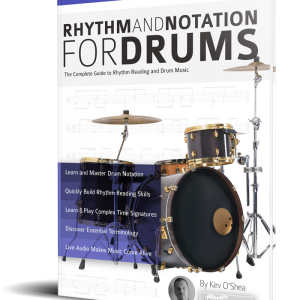 Throughout, the emphasis is on making music, so many creative tips are given to help you develop your musicality and get the most out of each drum warm-up. As well as being self-contained exercises, it is possible to expand each warm-up to become a life-time’s study. With tips on staying loose, speeding up, and getting the most from your practice time, 50 Essential Warm-ups for Drums is the go to guide for the modern drummer. ● Download the audio so you can play along and know you’re getting it right! 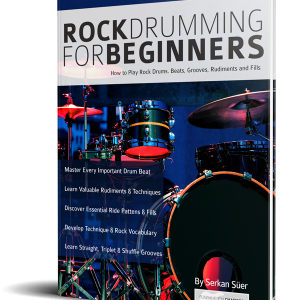 Essential Warm-ups for Drums contains many supporting audio examples to help you get inside the music, and quickly apply every new concept in a musical way. Buy it Now and supercharge your Drum Skills today!